Posted by Lynne Dale, Summer’s mom. Last night, Summer and I had the pleasure of meeting 7-year-old Julia Cobb, who is fighting bone cancer. 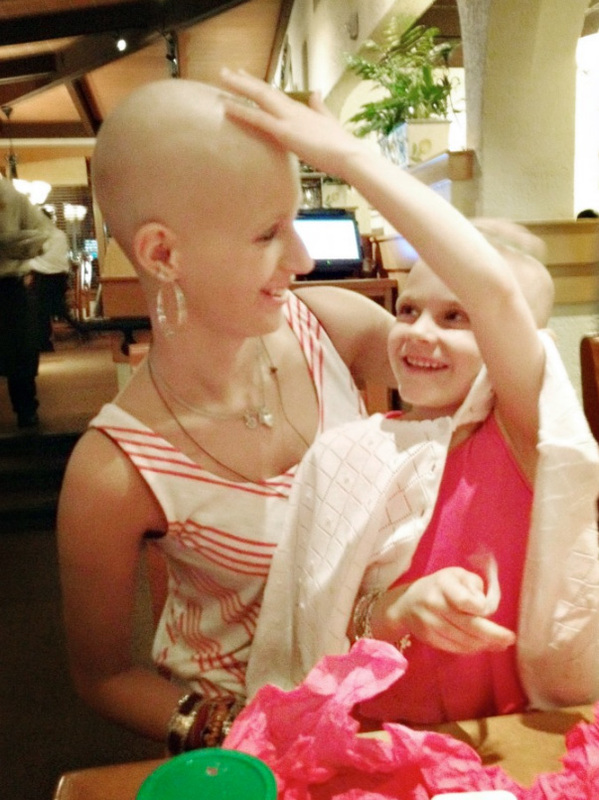 Early last December, her mom discovered a lump on her shoulder blade. The diagnosis of Ewing’s sarcoma came just three days before Christmas. Currently living in Alabama, the family made a dramatic decision. In order to get Julia the best care possible, the family of six divided up. Julia, her mom, and her baby sister (16 months old) all moved to Houston for eight months so Julia could be treated at MD Anderson. Julia’s dad, her big brother, 10, and sister, 8, stayed behind so Julia’s dad could work.Team Summer heard about this amazing family through staff members at MD Anderson. 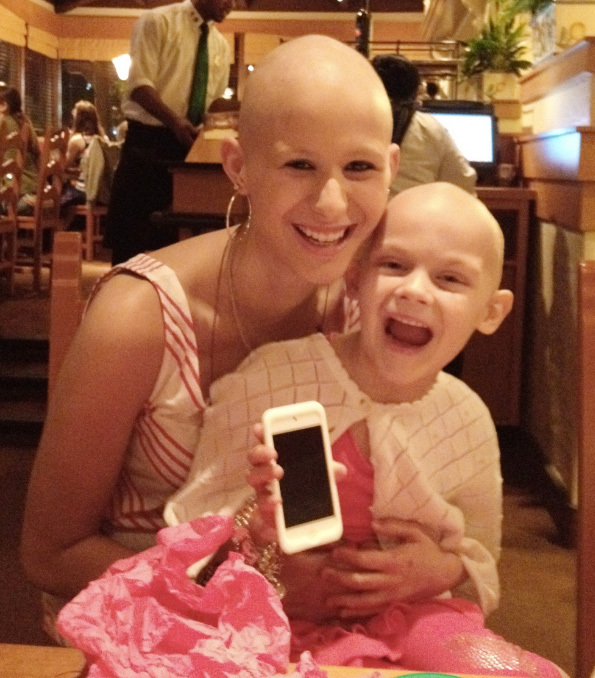 We learned that Julia loves to listen to music and is always wearing out the battery on her mom’s iPhone to listen. Thanks to generous Team Summer donors like you, Summer was able to give Julia her very own Ipod Touch with a pretty case covered in colorful hearts. Now as Julia endures her difficult chemotherapy treatments, she can listen to all her favorite songs AND play all her favorite games….whenever she wants! Welcome to Team Summer, Julia! We love you!